A b&w page copied from a 1920's elementary school workbook is enlarged, colored with markers, pens, acrylics, and mounted on an inverted photo of a spider web. 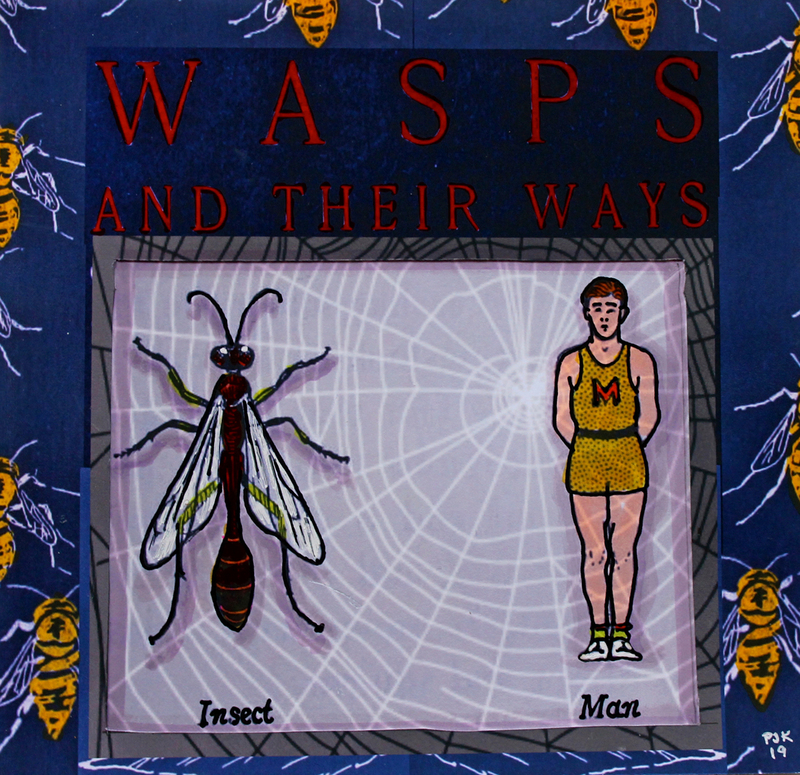 The new image is then superimposed on the upper half of a book cover for "Wasps and Their Ways" by Margaret W. Morley, published in NYC in 1900. I made a collage of wasps from examples found in the book. This collage was inverted and colored. I then merged all of the elements to complete the piece. I was taken by the comparison of a bug to a man in the original text, and the idea of W.A.S.Ps and their ways in modern times. Oh, wasp, where is they sting.